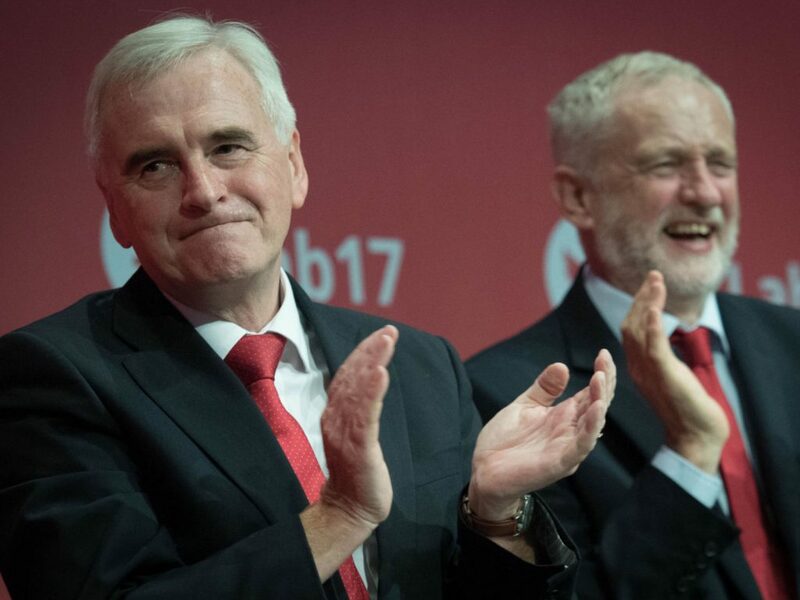 Shadow chancellor John McDonnell is congratulated by Labour leader Jeremy Corbyn after addressing the Labour Party annual conference at the Brighton Centre, Brighton. At the Labour party conference this week, Jeremy Corbyn warned about the importance of wargaming the effects of currency depreciation on the economy, should Labour get in at the next election. Well, at least they’re being honest – the anti-capitalist rhetoric from Brighton this week means the markets will go into a tailspin if Corbyn gets his hands on the keys to Number Ten. Whether you’re a Corbyn-ite or not, Jeremy was being pragmatic about the potential effects on sterling and the economic disaster that could ensue. And he was saying it’s good to be prepared for that. More organisations should heed his words, particularly in this era of uncertainty over Brexit. You can rest assured that most corporates and public sector bodies haven’t thought through the implications should we be staring down the barrel of a hard Brexit. If Labour were to get in, the initial shock would surely have a massive impact on sterling, but in time, it would recover. The problem with Brexit is that it’s a little more permanent than that. Any significant changes could affect organisations for decades to come and wargaming will help them get prepared for that. There are many potential effects of Brexit – and they all need to be wargamed. What do they need to think about? The immigration and employment squeeze: it’s not just the fruit picking industry. Many of our sectors will be badly hit if a restriction on the free movement of EU nationals is imposed – leisure and hospitality, healthcare – the list goes on. Wargaming how the availability of personnel will affect an organisation is vital for its survival. Export/ import: the percentage of a business that is affected by trade tariffs and all international activity will need to be carefully monitored, assessed and the fallout anticipated. Wargaming the scenario with all relevant stakeholders will help you get a picture of how you will be impacted. Regulation: so many of our regulatory frameworks are driven out of Brussels – that might continue, but it might not. Organisations have to be ready should regulation be upended. This is particularly pertinent for the financial services industry – the fallout could cause a massive regulatory headache. Wargaming is vital for Brexit preparation. It is a tool developed by the military to stress-test and evaluate plans before committing resource into action and it can help organisations to identify opportunities and risks for any scenario. Wargaming can be used to address a range of complex internal and external challenges including any potential crisis or threat, M&A or a structural change. It aligns internal stakeholders and encourages them to cooperate to find solutions. It enables stakeholders to understand the complexity of problems. So perfect if you think of the potential repercussions of Brexit. For any threat to any organisation, it is much better to be on the front foot having done the preparation and the planning than it is to be caught unawares. The truth is that nobody knows what is going to happen where Brexit is concerned. But having the right defences in place will help you be prepared for the worst. Wargaming will help you do that.